This year I helped organise the making of crowns for my daughter’s school Nativity play. The theme was the Three Kings, with not three but in fact ninety kings (!). 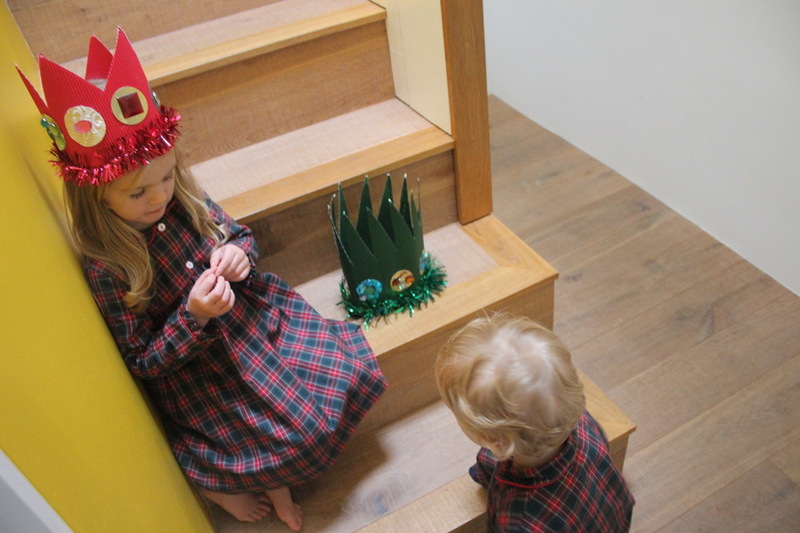 We needed to create some instant drama, and these paper and jewel crowns did the trick. 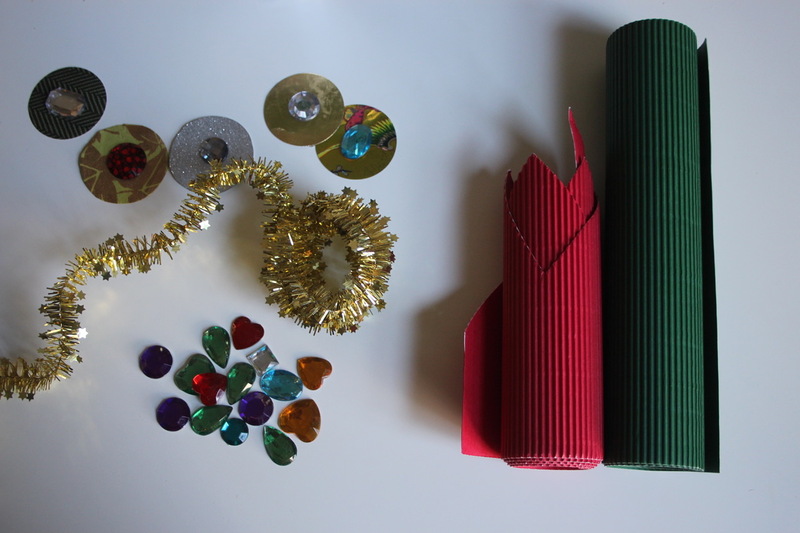 Making these en masse for the whole class was very fun, and I realised then that it would be a great craft to share since they were simple to make, they looked so super royal, and they add an instant festive touch! We loved them so much we even made one for Joseph to wear too, and then carefully travelled with our crowns on a five hour journey for our Christmas holidays. Fortunately it was worth the careful packing since the crowns served multi purposes as both costume and then as Christmas decorations — specifically as centerpieces on our table when they weren’t being worn on our heads. 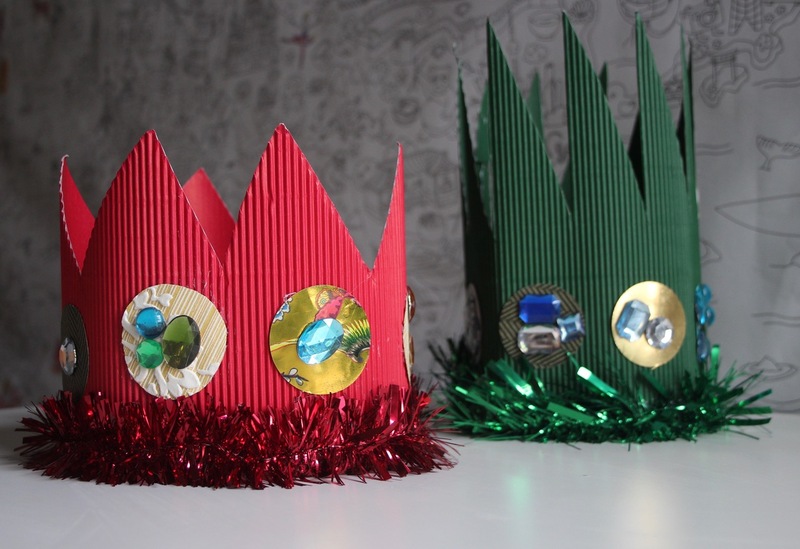 Over the holidays, we had a Spanish friend remind me that these crowns would also be popular with children in many Latino countries, since Three Kings Day is a very big holiday. She also recalled how it was the big day for getting gifts — bigger even than Christmas! 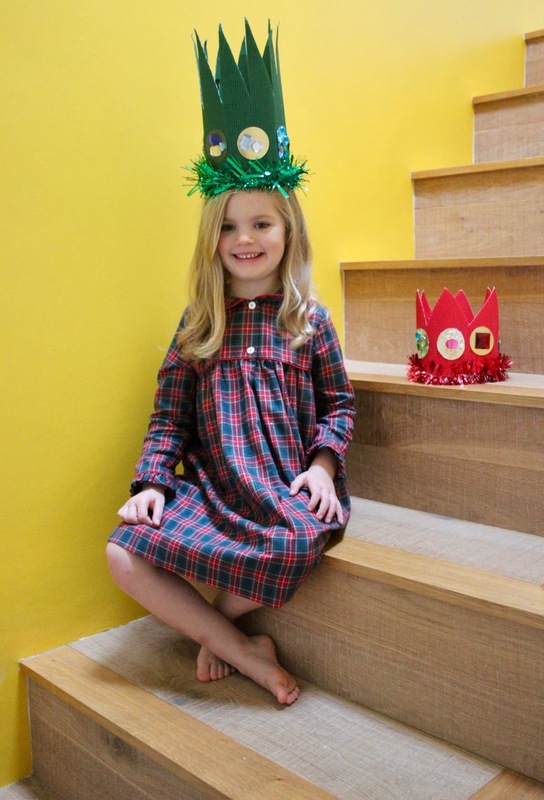 Perhaps these crowns could inspire another celebration at home — a finale to Christmas. 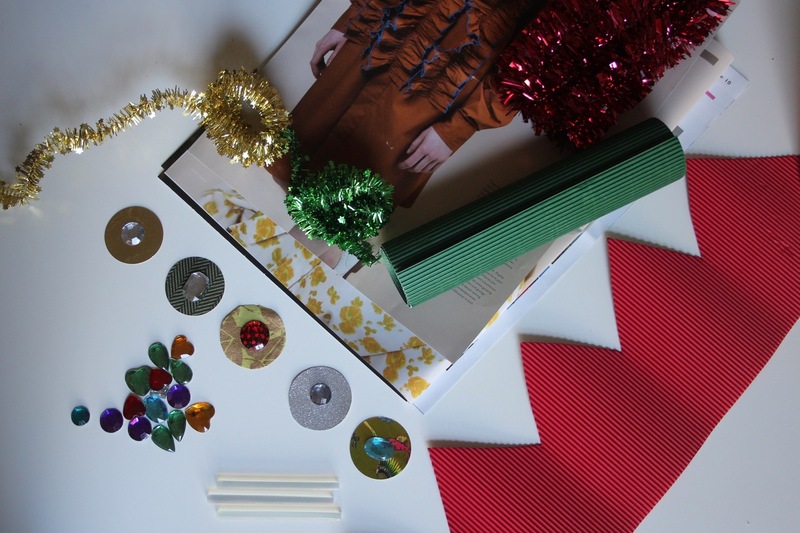 Although I am normally not a tinsel and faux jewels kind of girl, these inexpensive materials nicely lend themselves to dressing up and festive crafts for children and adults. I hope you enjoy making and wearing these too! Jewels like these or ones from any art store or pound / dollar store — The jewels with adhesive backs don’t stay on curved angels, so buy regular ones and hot glue on. 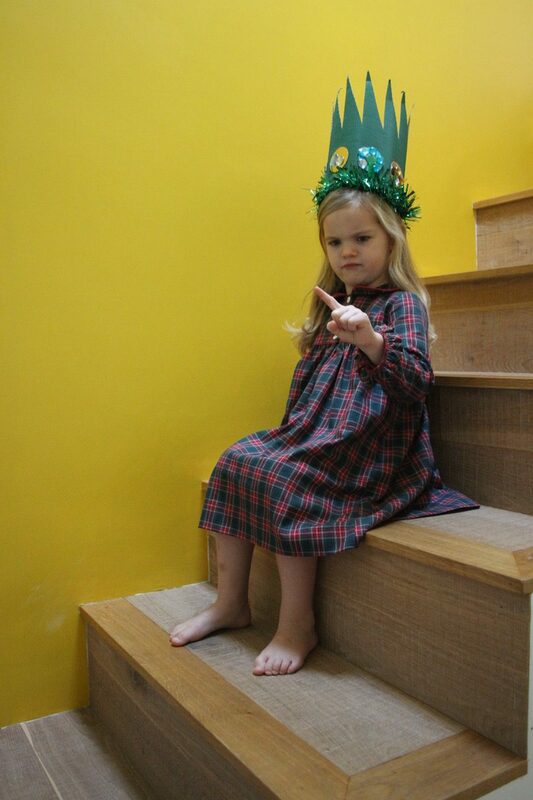 Cut out a crown template, or use a pencil to trace your crown. (We wanted our green crown for Joseph to be dramatic and oversized, like Max’s in from the book Where The Wild Things Are ). Measure the head sizes. Cut out several circles from magazines and scrap paper (trace a glass or cup) or use a circle cutter . Glue the jewels onto the circles. Measure the head size of the crown, and before gluing in place, glue the jewel circles on. 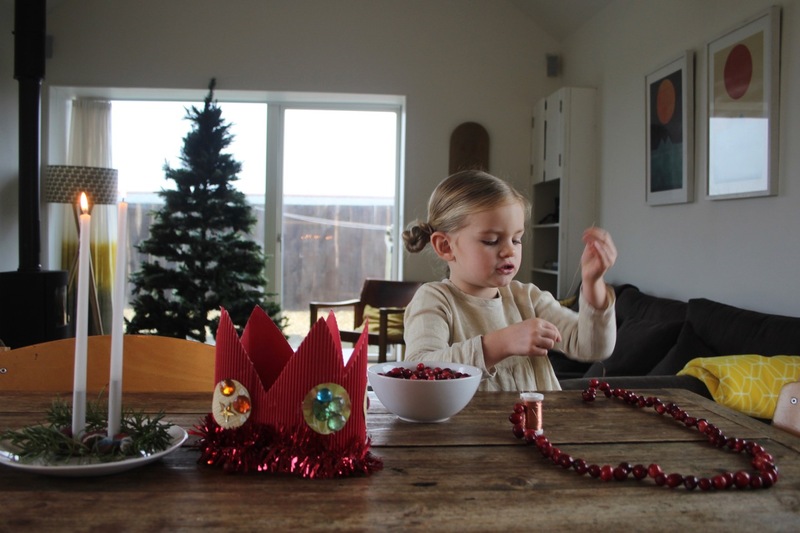 Fit the crown on their head, glue it to secure the crown, and then glue on the tinsel trim. Super easy! And much easier when you aren’t making ninety of them. : ) These would be great for a birthday party, or for all of your guests at Christmas dinner. However and whenever you wear them, I hope they add a bit of sparkle and enjoyment. And hopefully they inspire regal manners too.